Elven Mists 2 is rated 3.7 out of 5 by 7. Rated 5 out of 5 by GunnyBlueLives from Simple Game - Great Re-Play Value - A Classic Favorite I bought this game a few years ago. I have played it over and over .....and over again. Tiles pop up and you have to fit them against the same colored tiles to "pop" them. Whereby you release fairies trapped inside the tiles. This game is ridiculously simple in its premise. However it's very challenging, especially in the higher levels. I spent weeks trying to finish the game successfully. I tend to put this in the same category as solitaire. What I mean by that is, although this game is definitely nothing close to solitaire, it's one of those old standbys I can always go to. I'm off to try Elven Mists 2. Can't wait. Rated 5 out of 5 by ziggypop_8 from Looks Simple However..... This is a fun game however very challenging. Love the game and the deeper you go into the levels the harder it becomes. I did get stuck a couple of times but patience and persistency always won out. I was pretty pleased with myself when I got through a difficult level. This game makes my 55 year old brain think!! Rated 5 out of 5 by MeganB7 from A real brain-teaser! 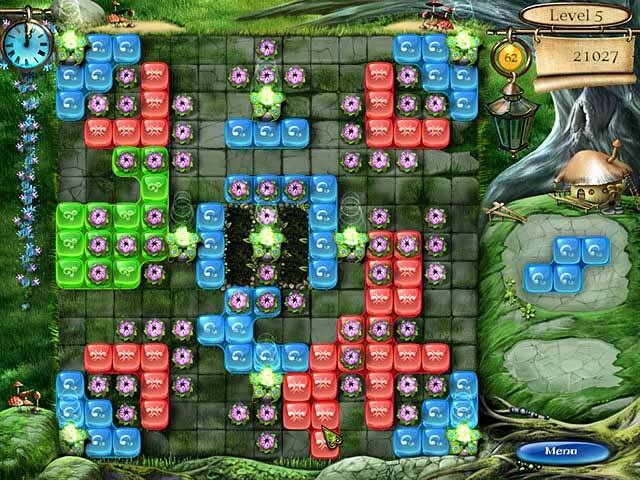 This game starts off simply enough: just connect the power nodes with coloured pieces to release the elves trapped in flowers. Then there are blockages to work around, more colours to work in and even snails removing some of the blocks. So, it's simple enough at the beginning, but some of the levels are incredibly difficult. It's still a lot of fun...despite the frustration! Rated 4 out of 5 by psufan78 from Challenging Brain Twister Game I never read the storyline in these games, so I won't rate it. 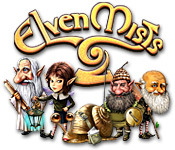 I like the original Elven Mists game better, but this one has challenged me, which I like! I struggled to pass level 68 for a few days, but finally figured out how to do it and I am now on level 98--another very challenging level! I like how you don't run out of lives, like in the original game, but the timed option is just too short--I can only get to level 6 before I run out of time. That is frustrating that I can't go further in the game! Overall, a good game to stretch your brain! Rated 4 out of 5 by netnanna from A real brain teaser!! 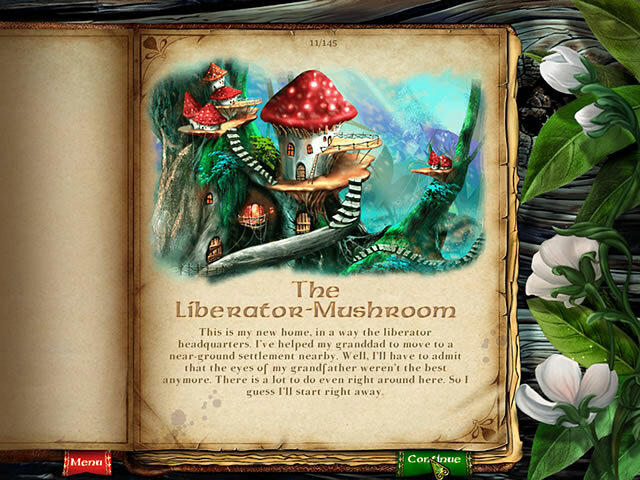 Forget it's about elves and fairies, the characters are really funny and the a humorous story line. Music is gentle and relaxing. I haven't completed all the levels, getting REALLY hard now, but the feeling of achievement when a difficult level is beaten, is a real turn-on. OK. so I've become addicted to this game, you should give it a try for something really different. The only thing against it is the timed factor, developers, PLEASE turn off the clock!! That's the only reason I haven't given it 5 stars. Rated 2 out of 5 by fluffitude from Not like the first game, some levels will stop the game from continuing I loved the first Elven Mist, but there's a bug that was never fixed where the game won't save when you exit. bummer, so I tried this one instead. It's different in that you can't use bonuses when you need them, only when they fill up with "mana" and then you have to use them when they pop up. which is NEVER when you actually need them. 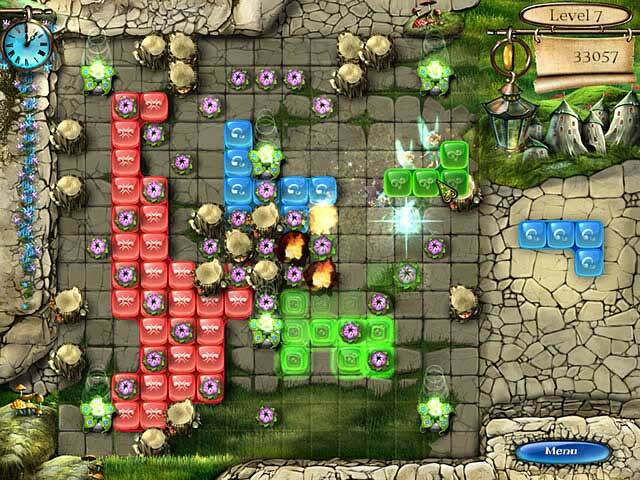 some of the levels are so difficult to get through, people give up the game in frustration (check the forum). There's no untimed mode, which would make this game a five star. If they add an untimed mode, I will update my review. Until then, I do not recommend this game as it's more frustration than fun. Rated 1 out of 5 by Ziggy_Zigster from The ratings for this game are WAY out of sync. Based on the reviews I've read so far - either we didn't play the same game OR people submitted a review before thoroughly playing the game. This started out as a great game. Requires logic and is quite challenging. I had to redo several levels which was fine. But for the past 3 days I have tried to get past level 68 and I cannot. I don't even see how it is possible. If you don't mind that you cannot reach the end of the game, this is a great game - but for people like me - who like the accomplishment, it's a no-go. Quite frankly I'm getting quite tired of playing trial games here on BFG and buying them only to regret it halfway through the game or near the end. I've become much more cautious in my purchasing here.